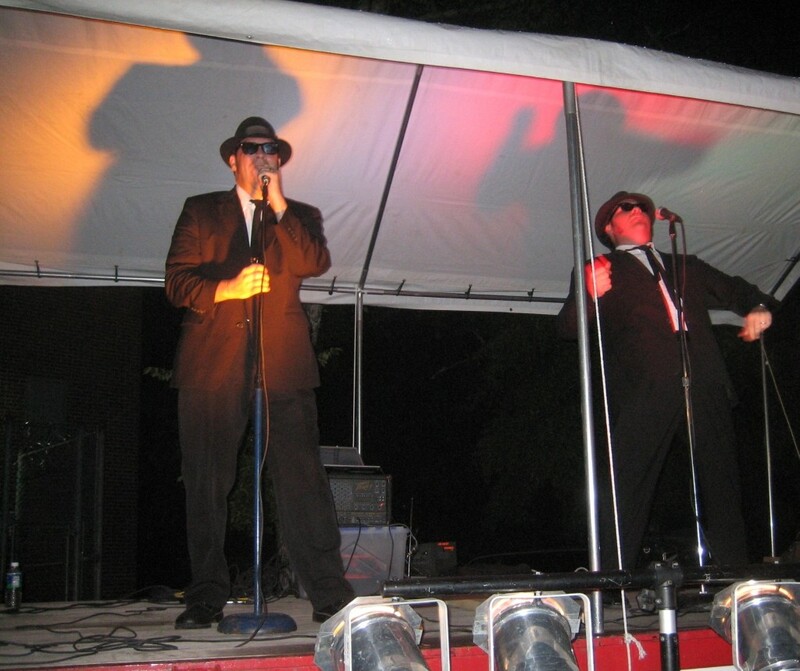 It's a long way from Chicago, but that did not keep Elwood and Jake of the Alabama Blues Brothers from making their fifth appearance at the block party. 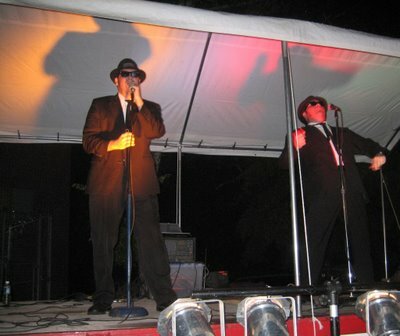 The Brothers wanted you to know that if you missed them in Pell City, you can catch them in the Rainbow Room at Rockefeller Center in New York this September. I think Pell City must be a fun place. I used to live in the southeastern part of your state, in Enterprise. How is it that I never made it to Pell City? Gee, annie, there are so many great places to visit. Maybe you will get by here sometime. I only got to drive through Enterprise one time. I bet you know what statue I was looking for.